Congratulations to Virginia! 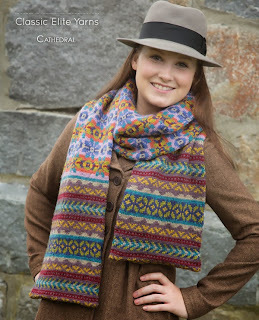 She is the winner of our Fair Isle Giveaway. I can’t wait to see your version of the Bishop of Aberdeen scarf. 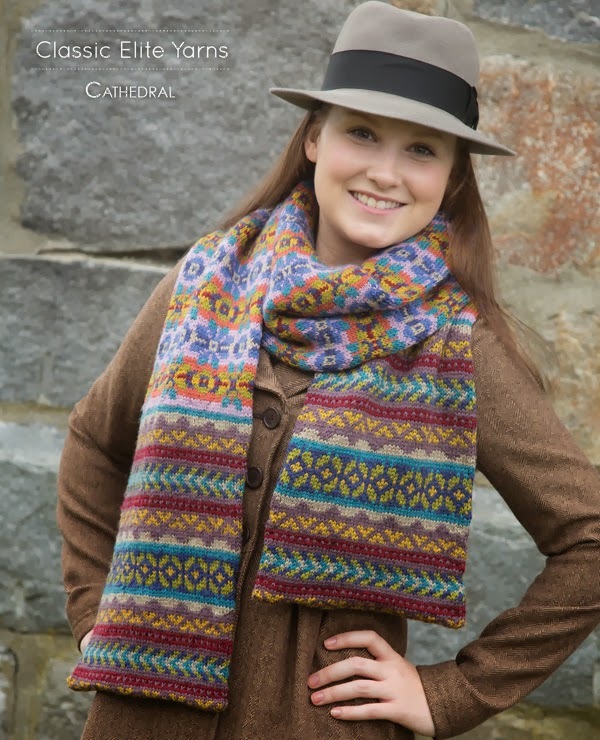 Have you ever seen a Fair Isle pattern that you just love…but don’t care for the colors it is photographed in? Do you feel paralyzed when trying to pick your own color combo? Here are a few tips to help you select colors. · The first thing you will want to think about is the feeling that you want from your sweater. Do you want something bright and bold? Or do you want something soft and pretty? Looking for a traditional feel? Or something more contemporary? We knit the Faith sweater from Cathedral in Wynter and Blackthorn for different looks. 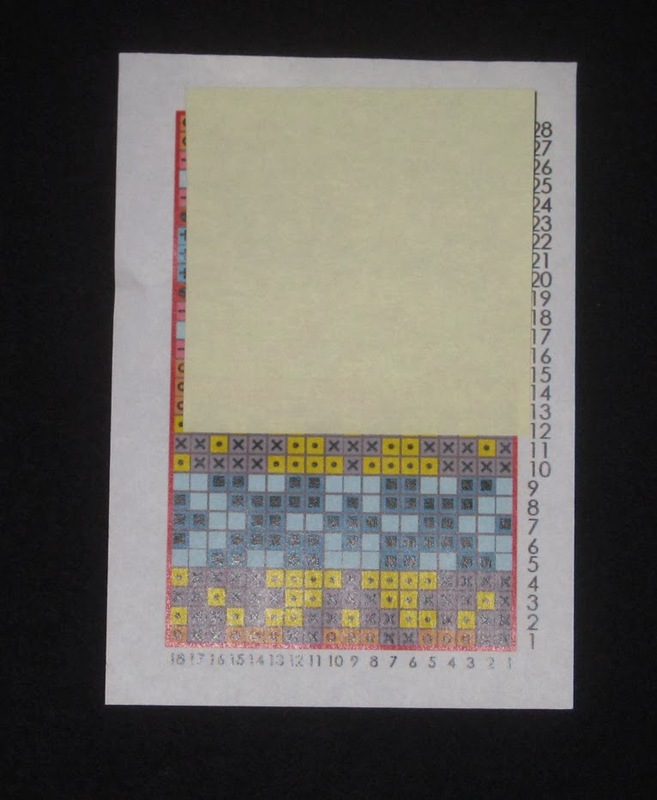 · Consider picking your main or predominant color first. Especially if you are knitting something like the Faith sweater above. 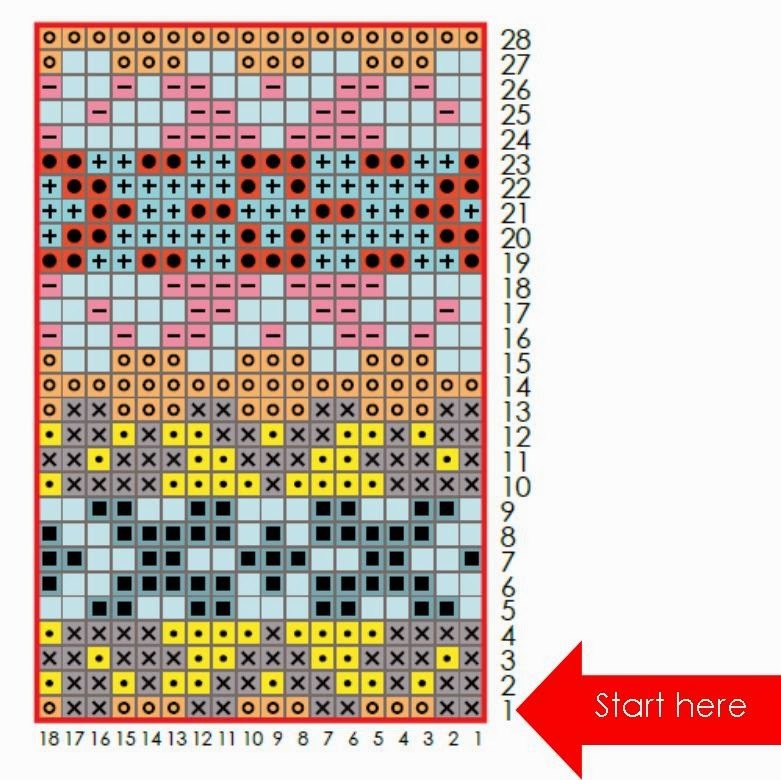 That, along with the choice(s) you made above, will determine the rest of the colors in your knitting. 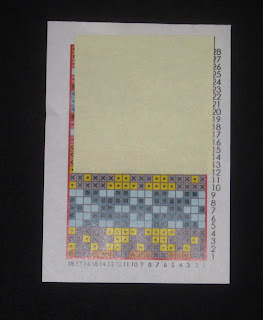 · Refer back to your basic color wheel and the lessons you learned as a child about complementary and harmonious colors. Complementary colors are across the color wheel from one another. 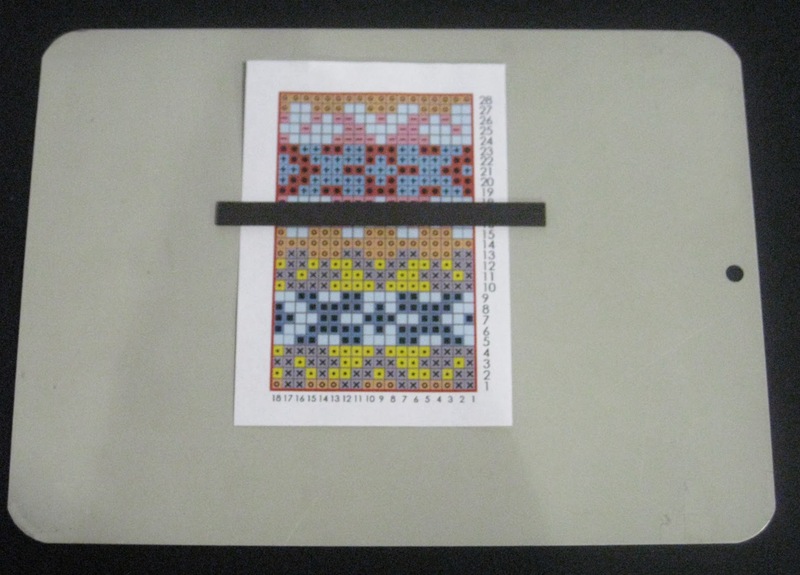 Whereas, harmonious colors are next to each other. Complementary colors will make each other pop more (perfect for a contemporary feeling), whereas harmonious colors are more likely to flow into one another (for a softer look). · Look at the value of the color. One of my favorite color combos is blue and green. Since they are right next to each other on the color wheel, sometimes they bleed together too much in Fair Isle. 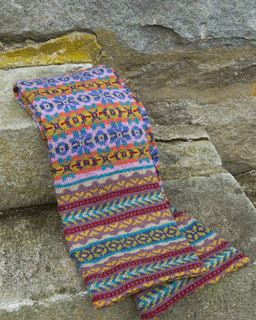 But if you choose colors that are of different values, they can still work beautifully together in Fair Isle. 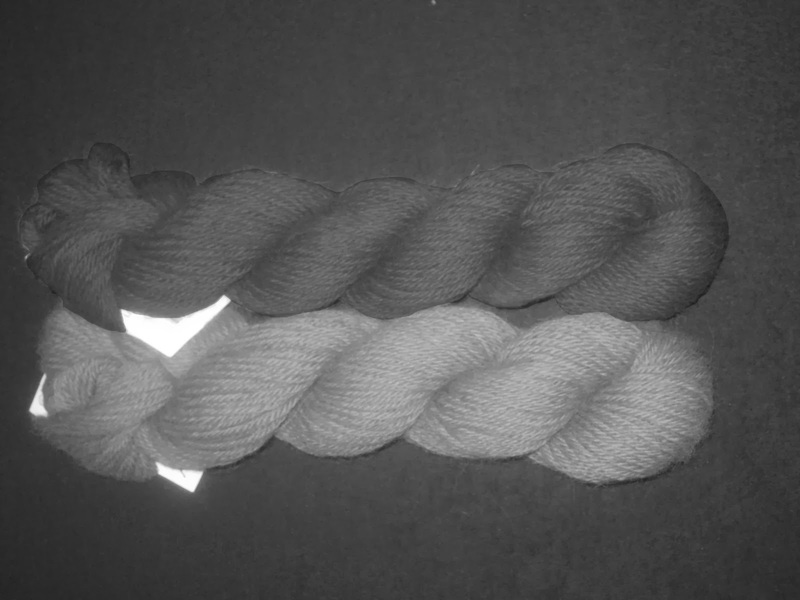 One good way to tell value is by taking a photo of the yarns you want to use together and use a filter in Photoshop or Instagram to make the photo black and white. 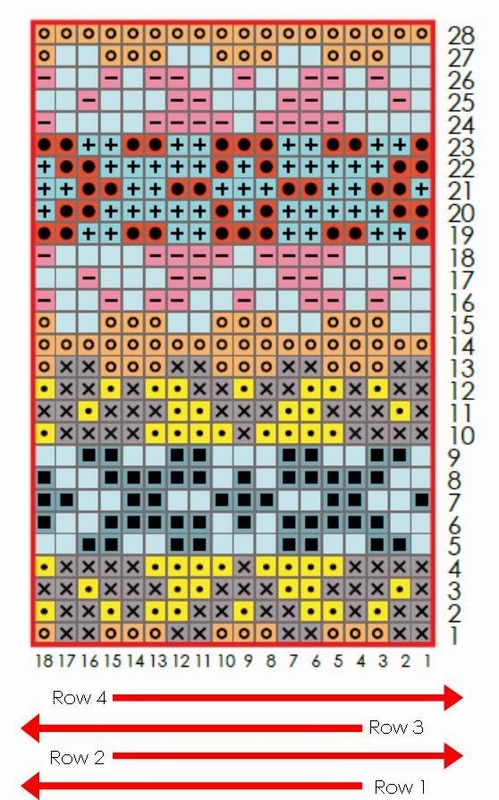 If you can see a difference in the greys after the color is removed, there is a good chance that these colors will work well together in your knitting. · If the yarns you want to use are in hanks, untwist them and re-twist together (you may want to ask the LYS owner/employee if this is ok first). 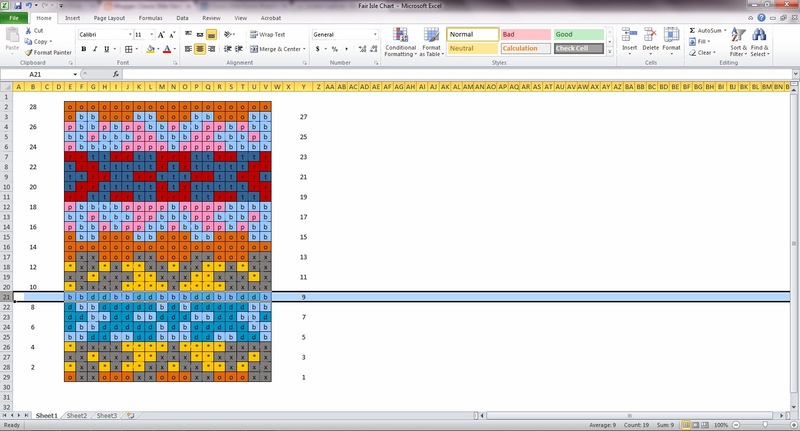 This will give you an idea of how the colors will work up together in smaller bits. You can do something similar with yarns that are in premade balls by twisting a few strands together. 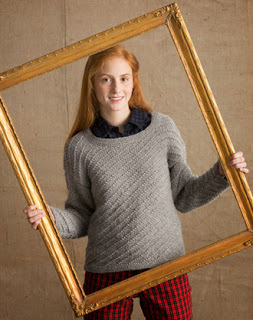 · Don’t be afraid of putting a color in your knitting that you would normally never wear/pick. Sometimes it makes your main color pop even more. 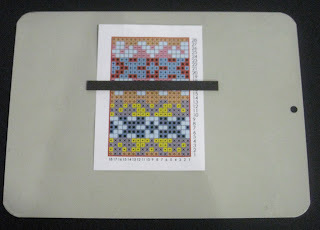 · Do a sample swatch! I know it’s a dirty word and no one wants to swatch. But this is a great chance to experiment with your colors. And if there is something you want to change, you haven’t invested too much time. 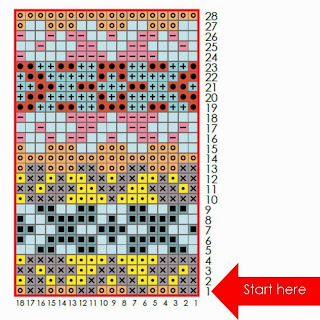 Pro tip – if your FO is part Fair Isle and part stockinette, make sure do a swatch in both techniques. You may have to change your needle size to keep your gauge constant throughout the FO. · Ask others for their opinions. 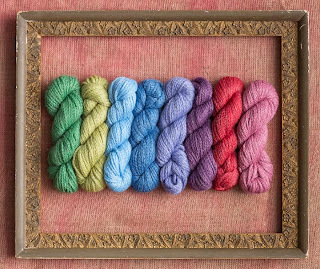 The person working at your LYS probably has helped lots of other customers with their color sections – take advantage of that experience. Also ask the other knitters in the store. Most people aren’t shy about giving their opinion, and someone may suggest something that you would have NEVER thought of, but end up loving. Sometimes it is good to step outside our own color boxes! Are you still feeling overwhelmed? I understand. 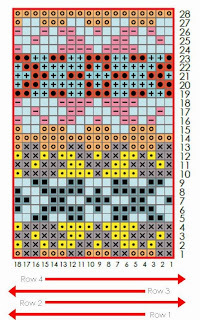 Kristin Nicholas has a great class on Creative Bug about choosing colors for your color knitting. It’s worth checking out if you are starting to hyperventilate feel daunted. But here is the most important tip I am going to give you today – have fun! This is a great way to flex your creative muscle, but if you aren’t enjoying it…change it! 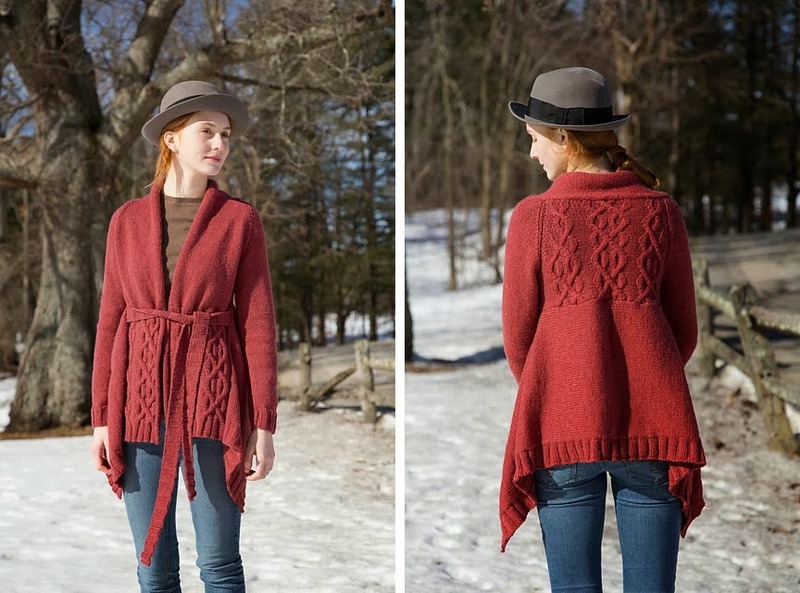 Make it something you will love knitting AND using or giving. 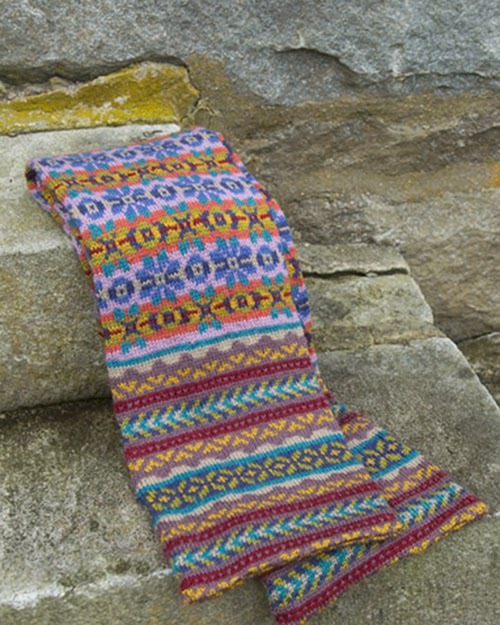 Hopefully by now you have seen all the gorgeous Fair Isle projects in Cathedral. I know I am itching to cast-on for some of these projects. Especially the Bishop of Aberdeen scarf that is on the cover. And then it hit me....we should have a giveaway. Honestly, who doesn’t love a giveaway? The winner will receive a kit to make the Bishop of Aberdeen Scarf. That's 10 balls of Liberty Wool Light (solid colors), and a pdf copy of the Cathedral book. To enter the giveaway, simply fill out the form below and click submit. It’s that easy! Please enter no later than 5 PM Eastern Time on Monday December 23, 2013. One entry per person. The winner will be drawn at random. The giveaway is open to US and Canadian residents only and is void where prohibited by law. Winner will be contacted via email. I am sure you have noticed that Fair Isle is the in thing these days. Everyone from Anthropologie to Ralph Lauren is showcasing it in their collections. Used as a trim on a hat or as a main motif on a sweater, it is everywhere you look. Check out some of the examples I found on our Pinterest board. 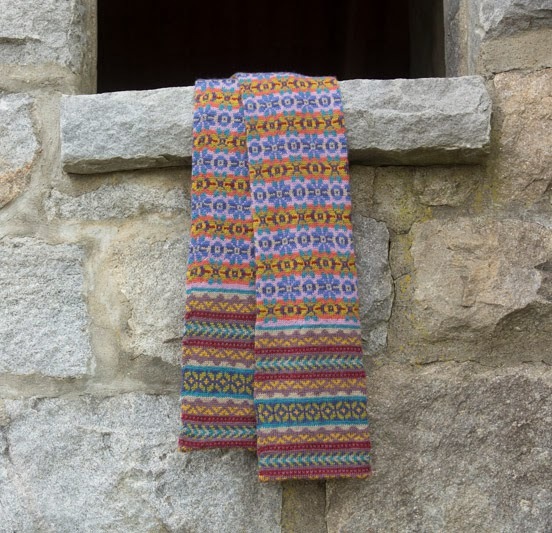 When our Creative Director, Susan Mills, was looking for a theme for December’s book (Cathedral) she immediately thought of Fair Isle/color work. While today’s Fair Isle can be traditional, it can also be bold and exciting using vibrant colors, textures and contemporary charts. 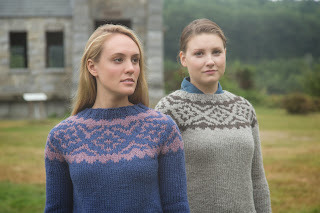 In the book Cathedral, Susan used a variety of yarns (Ava, Liberty Wool Light, Blackthorn, Wynter, Soft Linen, La Gran, Fresco and more) to achieve her goal – a modern take on Fair Isle. Some of you are already planning and are itching to cast on. While others of you may be thinking “boy, that sure is pretty, but I don't know…I've’ve never done Fair Isle before.” I want to ensure you that YOU CAN DO THIS. 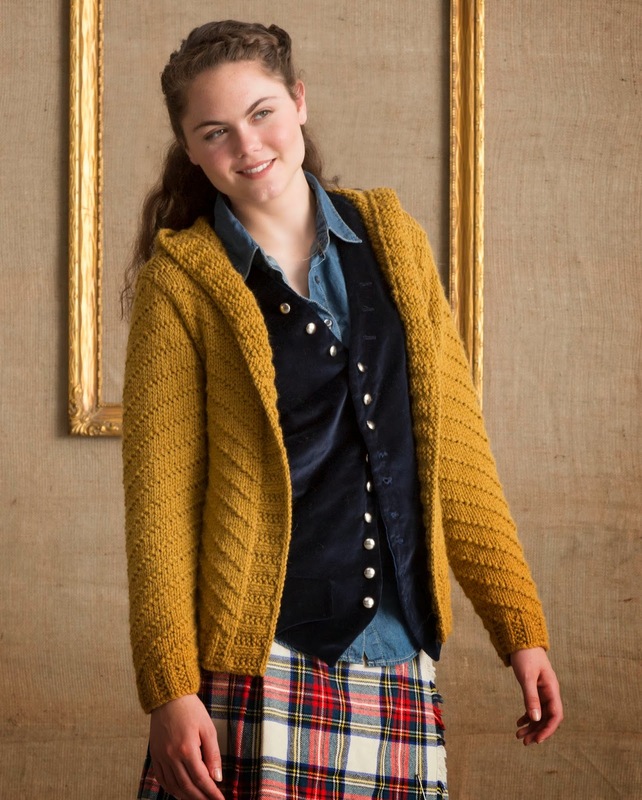 Many of the sweaters are knit from the bottom up and have as little as 25 rows of color work - which is perfect for the beginner color work enthusiast. It gives you plenty of time to work up your courage for the color section. 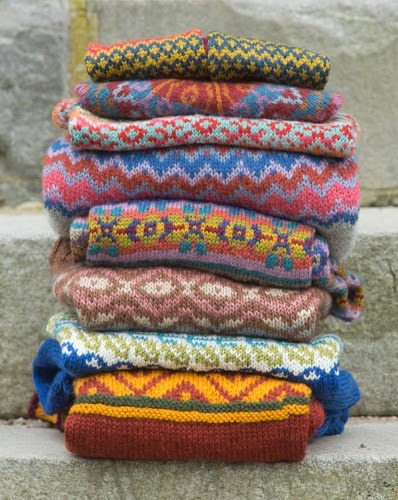 Another great thing about Fair Isle knitting is the number of possibilities. 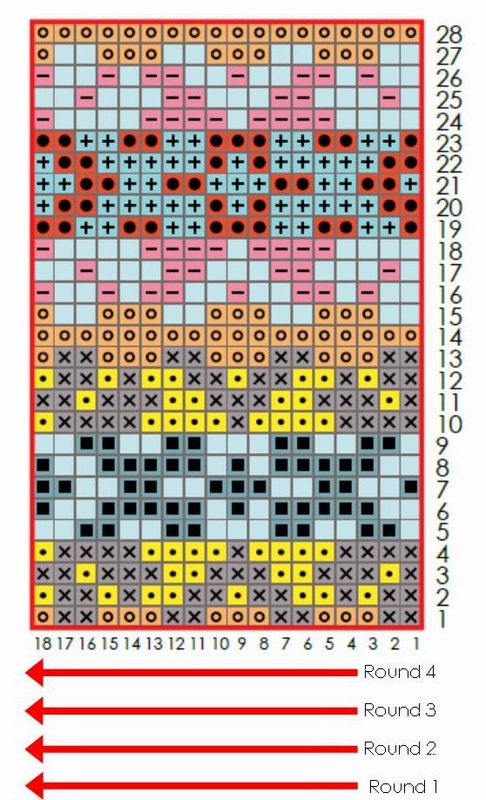 When you add in more than one color, you add to the number of ways to make your knitting project your own. It really is a lot of fun to go to your LYS and play with the all the color options. 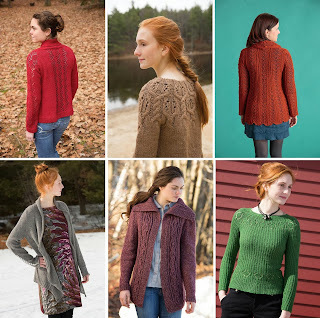 In the coming weeks, I will be sharing some color knitting tips that the knitters of Classic Elite Yarns have picked up along the way. One of our most popular yarns is Chalet from our MountainTop Collection. It’s super yummy and snuggly - and everyone loves it. From day one, people have been asking us “When are you going to get this is colors?” I have good news! It’s here! Chateau is Chalet’s colorful cousin. It comes in 8 A-M-A-Z-I-N-G colors. All of which work back to the natural colors of the Chalet. It is the same alpaca and bamboo chainette that makes a luxurious, lofty, soft, plush, superior, exquisite, wonderful yarn. It is a bulky yarn, yet because of its chainette construction it is also lightweight and airy when knit at a looser gauge. The bamboo lends lots of drape to garments and accessories. 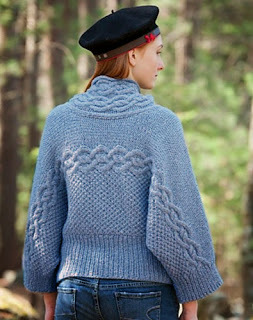 And it has beautiful stitch definition - cables are gorgeous, lace is incredible and simple stockinette is breath taking. Can you tell I like this yarn? Because Chateau is the same base as Chalet, there are countless opportunities to revisit some favorite patterns. I had a little fun with Photoshop to give you some previews. By far, the Color Block Bias Wrap from Handmade Los Angeles I is our most popular design in Chalet. I see a new one pop up on Facebook or Ravelry at least once a week. While part of the beauty of the wrap is the neutrals which go with everything, sometimes you need a little color. Whether you replace just one color in the wrap or go all out and change all of them, your FO will be the envy of everyone in your LYS. Another popular design is the Velvetrix from Soft & Cozy. I love big cowl necks that you can cozy up in. The stockinette body of the sweater will go quickly, while the cable detail on the neck will highlight your knitting skills. 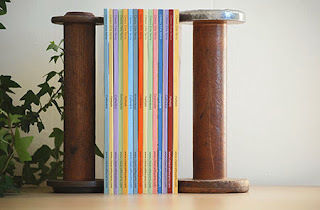 I also love the Appenzell from the Chalet book last year. 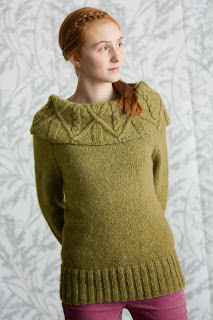 The yarn really highlights the cable and moss stitch patterns used in this side-to-side dolman sweater. Perfect with a pair of jeans for the weekends or with a skirt for the office. I highly recommend running (not walking) to your LYS to get a few (or 20) skeins of Chateau to make something wonderful today! As the holidays are fast approaching, I thought I would write a little about my experience with knitting gifts for people. As an artsian (which we knitters are, not crafters as most people think we are), we put lots of time and love into everything we make. And when we love (or really like) someone, we want to show them how much we love them, by making something special. Something that can’t be found in any store, because it’s one of a kind – like they are. We get excited about planning and making things for them, putting a little bit of ourselves into each stitch, knowing that they will love what we made for them. But what happens when they don’t? It breaks our hearts a little. Or actually…a lot. I have always been a crafter and starting making gifts for people long before I knit, so I already had some experience with giving handmade gifts. After some disappointing responses, I realize that while I love everyone who is on my list (whether holiday, birthday or other special occasion), it may not be appropriate to make them something. Knitting something often takes more time than most non-knitters know. And therefore they don’t have any idea of how much energy you put into this gift. Often they think that you made it just because you love knitting, which, while true, is not the only motivation. Knitting is most gratifying when the recipient understands the value of the item, and doesn’t just stuff it in a drawer, or accidentally put the non-washable item in the washing machine! I put together some hints for you if you are considering knitting something as a gift. 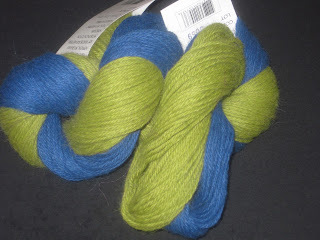 Just some things to consider before running out to your LYS to get yarn for that special project. Is this someone who will be in your life for a long time? Many of you have heard of the boyfriend curse, and while that factors into this equation, I am also speaking of passing acquaintances and such. Blood relations are a no-brainer – they are (usually) knit worthy. In-laws can be tricky, but assuming you want to foster these relationships, I suggest you put them on your knit list, even if it is just something small like a tea cozy. A good friend – absolutely. Someone you say hello to on the bus every morning…maybe not. How will they care for the gift? 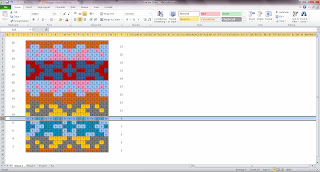 After painstaking hours working on something for someone, you want to make sure that they have the FO for a long time. I am not suggesting that you don’t make something for someone because they won’t care for it like you would; I am suggesting that you consider your materials before casting on. I once made a sweater for someone I care for. I planned and planned and planned. 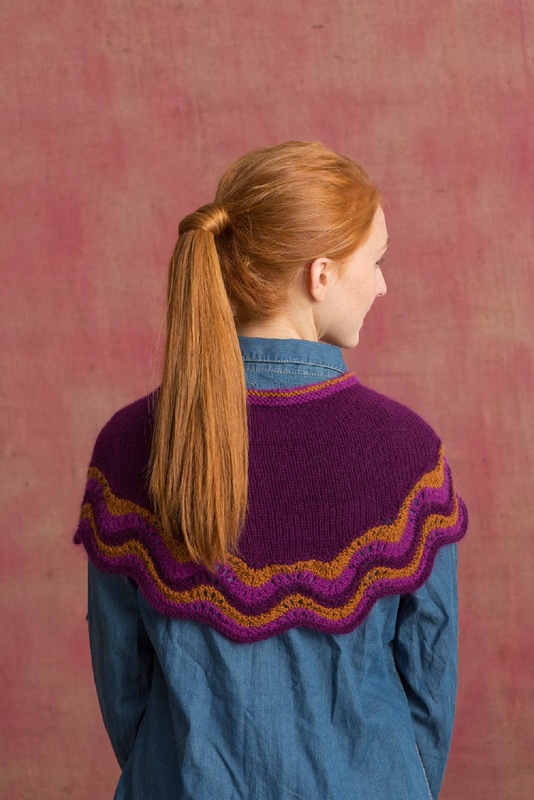 I perused many pattern books to find the style that I thought looked like something she would wear, picked her favorite shade and even snuck into her drawers to measure a sweater she wore all the time to get the right size. I was so proud when I handed the box over to her to open. And she was really excited about it as well. It wasn’t until a year later, when I saw her from a distance wearing the sweater, I realized my mistake. I noticed that it looked short on her, but thought “oh, I guess I didn’t make it long enough.” It was later, when I saw sitting closer to her that I saw what had really happened. I had made the sweater out of 100% wool and she, not knowing (even though I gave care instructions with the sweater), put it in the wash. She now had a very nice felted sweater. I wanted to cry, but at the same time didn’t want her to feel bad about it, so I put it out of my mind, or I tried anyway. Clearly it still haunts me. In today’s yarn market there are some really nice washable wools (like LibertyWool or Liberty Wool Light) and now I know that when I make her something else, I will use one of those. Keep this in mind when picking yarns for your gift. A subset to the point above, when giving someone something that was handmade, be SURE to include clear instructions on how to care for the item. Of course the obvious is washing instructions. But also consider that if this person has the FO for a long time, there may be times when the object needs a little TLC. When I make socks for people I also give them instructions on how to darn their socks and a bit of leftover yarn. I tell them “I will make you socks, but I will not darn your socks.” Apparently my love does know some bounds. Does what you plan on making them “fit” them? I am not talking about size here, but instead style and lifestyle. My brother is one of my favorite people in the whole world. And I would do almost anything for him. Except maybe make him another sweater. I know he appreciates the one I made him. But I have come to understand that he has only worn it about three times in the past six years. He just isn’t a sweater guy. On the other hand I know he wears the socks I made for him (I have seen him wear them, even when we didn’t know we were going to be seeing each other). He may not be sweater worthy, but he is definitely sock worthy! If you are going to make something for someone that they are going to wear, you need to know what size to make it, right? This may require some stealth-like behavior on your part. Consider a co-conspirator if you don’t live with the person. And someone who knows what you mean by measure across the chest. And/or have more than an old fashioned school ruler to measure. You may need to loan them one of your many tape measures you have laying around (oh come on…we all know you about 4,000, it’s just a matter of where). This one is tricky. There are people (even people we love very much) who won’t “get” why we make them things, when you can just buy it at the store. Ouch. That hurt just typing it. But it’s true. Some people prefer to have brand names and then there are people who want to get something fast and cheap. There are probably a bunch more sub-groups of this thought process, but those are the 2 that stick out to me. When I make something for someone I WANT them to use it. It warms my heart to know that the blankie I made for my friend’s child might be going to the playground and not just folded on the shelf. Knowing that my brother’s feet are warm because of the socks I made him makes me happy. And I feel absolutely giddy when I see someone wrapped up in a scarf I made them. I think you get the idea. My final point applies to all gifts that you give, not just the handcrafted ones…and it is the hardest to come to terms with. Once you give someone something, it is no longer yours. It is theirs to do with as they wish. If you make someone a blanket and they stick in the back of the closet, you have no say in it. If you make them a sweater and you see it on the top of the pile that is going to the thrift store, that is their choice. They put it in the washing machine and felt it? Too bad, so sad. This was something that I had a hard time coming to terms with until a few years ago when, for whatever reason, it finally made sense to me. I feel better about all my gift giving knowing this. The holidays will be here very soon. I encourage you to think about your hand-knit gifts carefully. Oh and if you haven’t started your gift knitting yet, I encourage you to think about hats and cowls as gifts. Unless of course you are a speed knitter and/or willing to pull a few all-nighters with your knitting. I have a dirty little secret…I have more shawls than I know what to do with. Yet I still want to make more. Ok, maybe that isn’t much of a secret between knitters. In fact, it is possible that you suffer from the same condition. I go through phases of different shapes. It all started with rectangles as scarfs and grew into triangle shawls from the center point out. But lately it has been all about the crescent shaped shawls for me. I don’t really wear my shawls as shawls, but more like oversized scarves. I feel like the crescent shaped ones are easier to wear that way. They are big enough to wrap around your neck, but not so big they overpower you. Or you can throw them over your shoulders. There are lots of different options! The Lucretia pattern from out Portraits book is a great little crescent shawl. 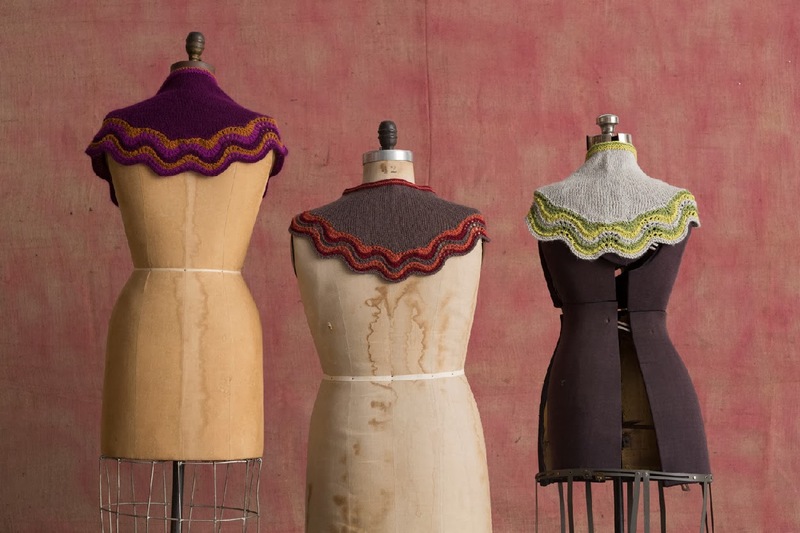 Meg Myers wanted to create a pretty little shawl that had a lot of different options. She used a combination of stripes and a simple lace pattern that most of you are familiar with (feather and fan) to make a border on a stockinette shawl using short rows for shaping. She also made three different versions of the shawl, by simply changing the yarn. 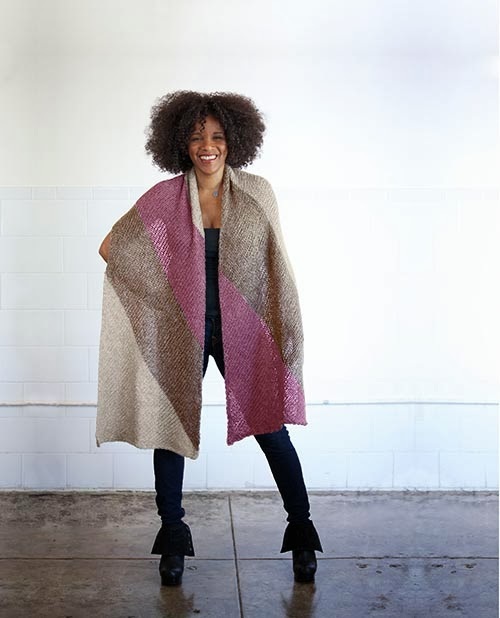 In one version she uses Fresco - a wool, alpaca and angora blend that has a beautiful halo and amazing drape. Another version of the shawl was make using Soft Linen – a wool, alpaca and linen blend that is a little heavier, but just as drapey when worked at a larger gauge (as this shawl is). And the last version is worked in Liberty Wool Light Solid – a lightweight washable wool (just recently introduced in solid colors). Any of the three yarn choices would make an amazing shawl, and with all the different color combos, there are endless possibilities. Here are just a few ideas. Another great option would be to work the Liberty Wool Light version with one of the prints on the feather and fan section and a solid for the stockinette part. The shawl is fun and fast, so you can make a ton of them. They would make great gifts for almost anyone in your life. Make a bunch and stash them away for those moments when you need a thoughtful gift at the last minute. Or make a few for those select people in your life who will cherish a hand knit gift with the love and care it deserves. The other day I was driving home and I saw the weirdest block ever. One house still had their Halloween decorations out in their yard and a few doors down, someone had put up their Christmas lights. In fact I have been seeing lots of holiday decorations popping up in stores for quite some time now. And I even heard a Christmas song on the radio (ok folks…I can sorta understand the decorations, but it is waaayyyyy too early for music). But it did get me thinking about Christmas stockings. If you don’t already have a stocking (or two or three) ready to put up by the fireplace, now might be a good time to think about casting on for one (or four or five). These stockings by MillaMia using the Naturally Soft Merino are perfect for the traditional knitter. They use classic motifs in traditional holiday colors. There are three different patterns, so you have a few options to hang by the fireplace. And there are different techniques used – a simple stripe for the beginner knitter, a cable for the advanced beginner and a Fair Isle for the intermediate knitter. These are available as kits, each of which includes the pattern and enough yarn to make one stocking. Ask your LYS if they have them or order them here. But if you like a little more color in your holidays, you might consider these kits. Featuring two different designs by Kristin Nicholas, there is enough Color by Kristin yarn in these kits to make both stockings. I really love these stockings – they remind me of something I would see at Anthropologie or in the Sundance catalog – but these are so much better, because you can customize them to make them uniquely yours! 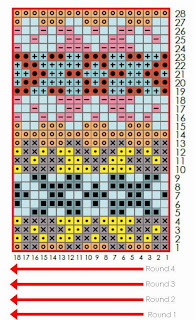 Kristin also has a new pattern out for stockings using her Color by Kristin yarn. 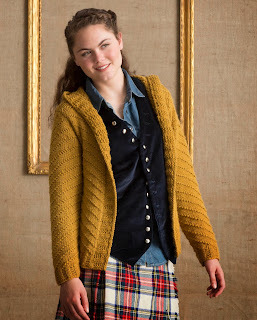 You can purchase a PDF of the pattern on her website. 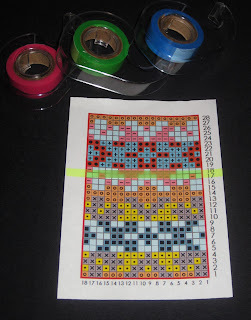 These are so much fun, and definitely perfect for those who love lots of color! Do you have some hand knit holiday stockings? Please share your pictures with us on Facebook, Ravelry or Pinterest! I have had something I have wanted to share with you guys for a while now, but I was sworn to secrecy. But today, today I can tell you! If you are anything like me, you are always looking for something new to cast on (I may or may not have several things on my needles already). 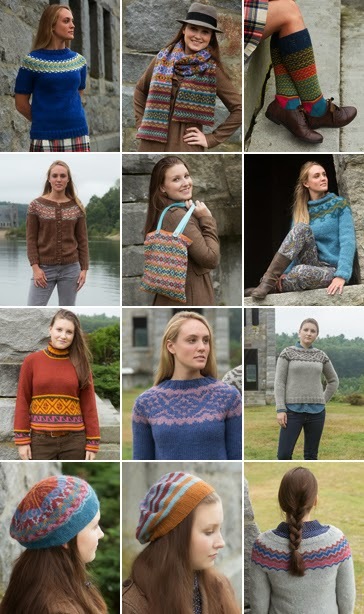 But many yarn companies (and CEY was included in this list) only publish new patterns a few times a year. This made sense in the “pre-internet” world. But we realize that is no longer the way we live. Today it’s an “I want it now” world! After many months of planning, we made some adjustments to how and when we are going to introduce new patterns to you, the knitter. Starting this month, we will be releasing a new pattern book every month! Yep, you read that right…a new book EVERY month. These books will also look a little different from what you have seen from us in the past. 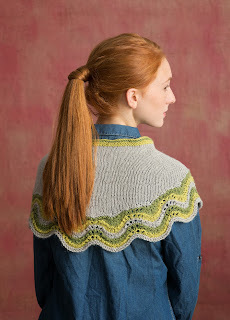 They will have more patterns (sometimes with several different versions) in numerous yarns. They are printed on a higher quality paper and feature lots of great photographs of each garment/accessory, while still having the high quality patterns that you have come to expect from CEY. The books will be available in a variety of places. 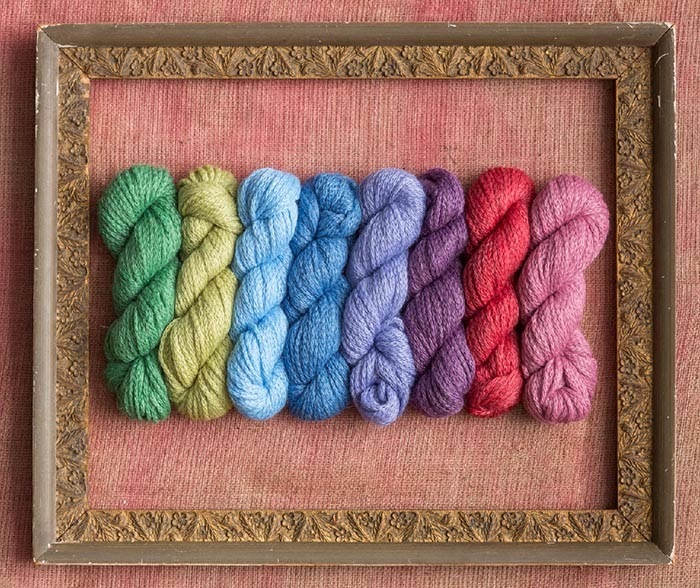 Of course you can always find them at your LYS – and we all know how important it is to support your LYS. But now you also have the choice of downloading an eBook from Ravelry. And if you want to buy an individual pattern, you will be able to buy that on Ravelry as well. 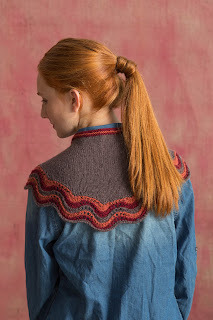 And, as a special treat, if you buy the book in your LYS, you will find a scratch off code for a one-time only Ravelry download of the eBook. How awesome is that? You can have the hard copy in your knitting library (and don’t try and pretend you don’t have one…even if it is only one shelf) and have access to the digital copy when you are on the run. 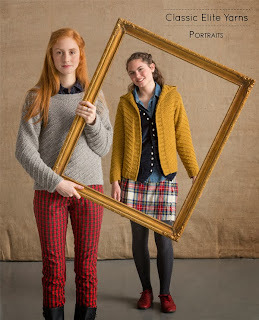 Our first book is Portraits and it features quick knits that are easy to wear, which is perfect for this time of year. If you are looking for something yummy to snuggle into or are starting your holiday knitting, you are going to find something in Portraits you will want to cast on right away. There are sweaters, cardigans, scarf and shawls, mitts and hats. Some of the yarns used are Chalet, Toboggan, Ava, Alpaca Sox, Soft Linen and more! The book also features Chateau – Chalet’s colorful new cousin – which will arrive in your LYS by the end of the month. In the coming weeks, I will tell you more about the designs, but in the meantime you can find information about each design on our site. I can’t wait to see what you are going to cast on first!